Buying Your First Baby Crib? Consider This. There’s so much to prepare for when having a child and putting the nursery together is one of the biggest tasks – and most expensive. A crib and bedding can cost hundreds of dollars. So, before you buy a baby crib there are some major factors you need to consider to ensure the crib is the right one for your baby. Your baby’s safety may depend on it. Crib technology and safety features have greatly improved in recent years. It is tempting to buy an older used crib to save some money, but the risk is simply not worth it. Not only will older cribs not be up to the safety standards of modern cribs, but used cribs also come with the risk of mechanical failure. A slat could come loose or paint could be peeling off. There are many additional risks when buying a used crib so you have to ask yourself: Is it worth it? There are two main considerations when looking at mattresses: firmness and flushness with the sides of the crib. First, your mattress should be as firm as possible to prevent SIDs. Try to test the firmness for yourself instead of just relying on what the manufacturer says. Second, the mattress should be flush with the sides of the crib to prevent your baby from getting trapped between the mattress and the crib. Slat spacing has been a hot topic in modern baby crib design. The general rule is that the space between 2 slats does not exceed 2-3/8”. It is also important that the slats are sturdy enough to avoid breaking or loosening. Proper slat construction ensures that you baby will not get stuck between slats. Suffocation is always a concern with a small child. One thing parents don’t always consider as a suffocation risk is bedding. 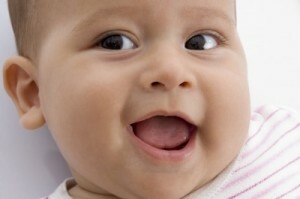 Babies under 1 year old should not sleep with quilts, pillows, or other loose bedding. It is recommended that babies of this age sleep on their backs with only a fitted sheet. As they get older, the suffocation risk of loose bedding diminishes. No matter how safe the crib design is, failure to set up and operate correctly will put your baby at risk. Be certain to read through the manual and follow it closely. Regular checks for stability, slat looseness, peeling paint, etc should be performed. If you have questions or concerns about this process, call your manufacturer for answers; most manufacturers will provide you with the guidance you need. These are some of the most important factors when buying a baby crib. As we all know, there a million things to think about when having a baby. Many people don’t put in the proper time to find the best crib for their child. If you are one of those people ask yourself this: How important is the safety of your child?